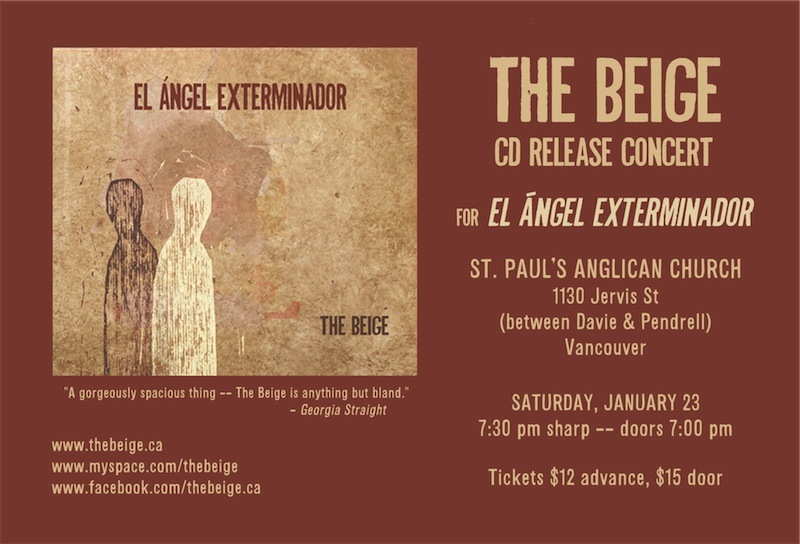 On Saturday, January 23, 2010, The Beige will be performing a CD release concert for El Ángel Exterminador at St. Paul's Anglican Church in Vancouver (1130 Jervis St., between Davie and Pendrell). A beautiful Gothic revival church, St. Paul's is known for its labyrinth, and its quiet, haunting surroundings will provide an ideal environment for The Beige's layered, moving music. It's an early show, 7:30pm sharp (doors open 7:00pm). 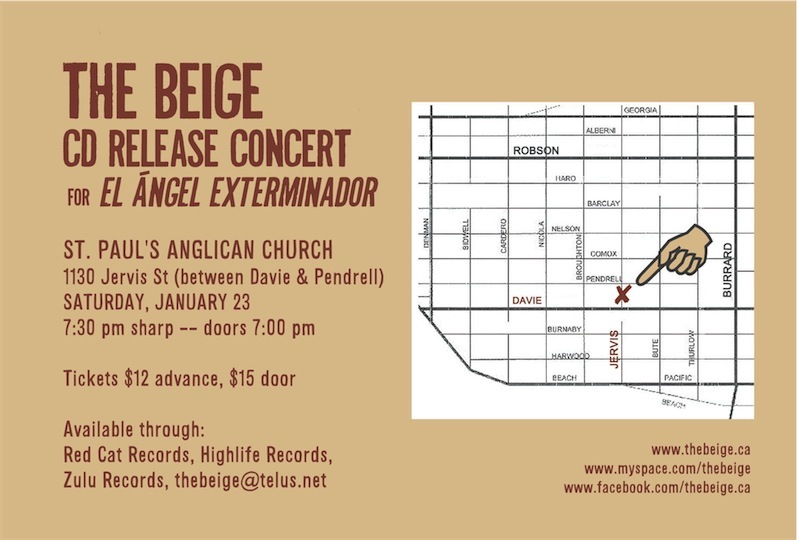 Tickets: Zulu Records, Red Cat Records, Highlife Music and thebeige@telus.net.